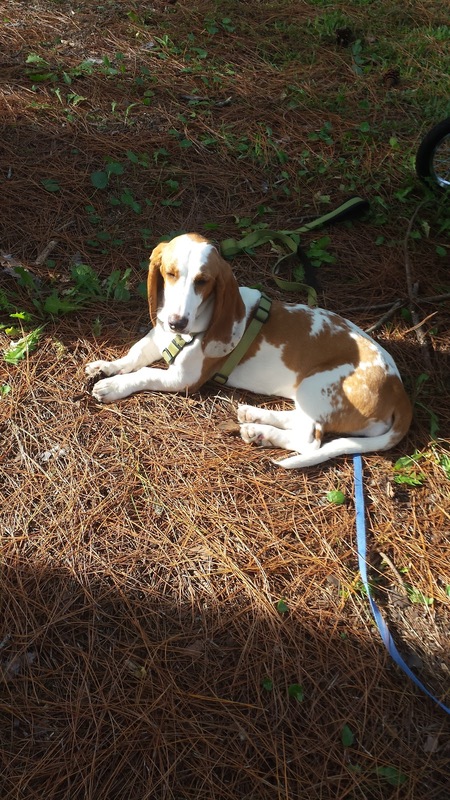 There is a "walking" park one mile from my home. So I walked over with Suzy our basset puppy. 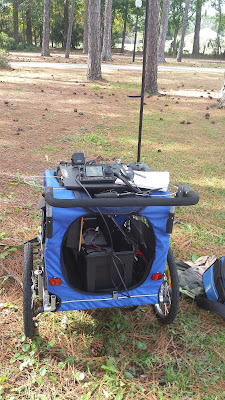 I pushed the dog stroller loaded with the Icom 7100 and battery. At the park, I used the Chameleon Hybrid Micro with the MIL whip initially. I worked Bob WB4BLX/M on 17 meters SSB who came over with Vic K4GXV. Both Bob and I worked Dan W2AI in New York on 15 meters SSB. I deployed the 60 foot wire over a tree limb and connected it to the Hybrid Micro. Then I worked AA6AC in Oxnard, California. on 15 meters CW I actually worked him before when I was in Oxnard on a work trip a few years ago. 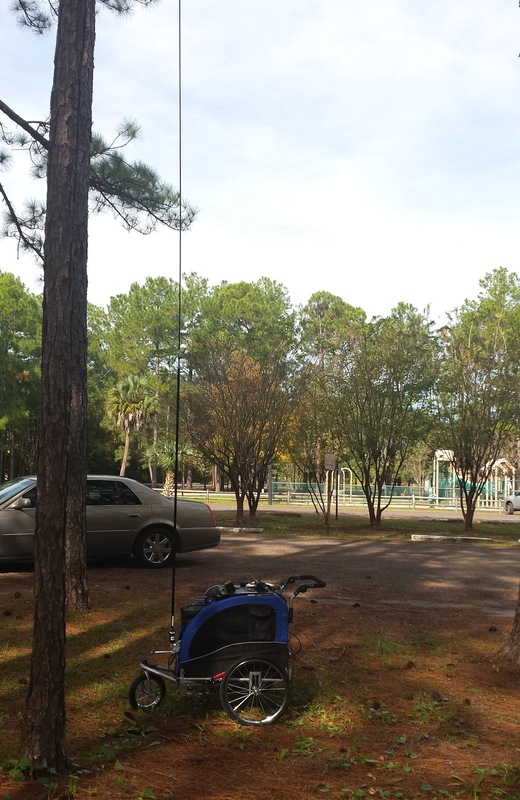 To finish up the five, I worked WB4MED in Bellegrade, Florida on 40 meters CW and then KB3CVO on 17 meters CW.